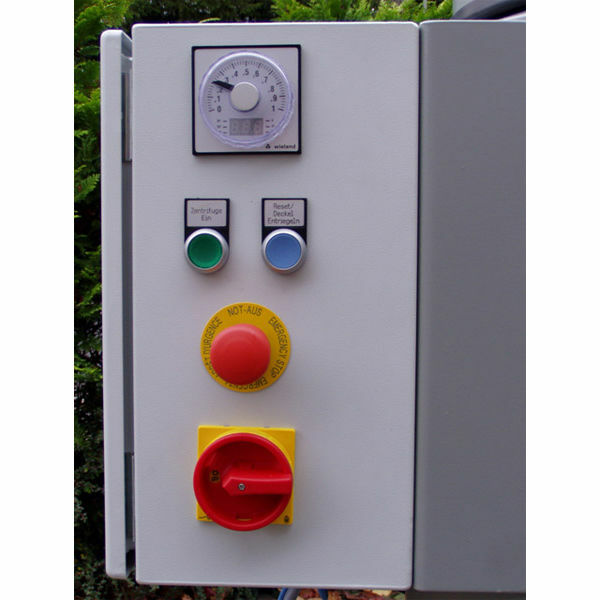 The HEINKEL Multipurpose centrifuges V 300 – V 700 TM are known as robust, economical and reliable centrifuge. Fields of application are the de-oiling of parts or chips and drying of bulk parts, further the oiling or impregnation of bulk goods. 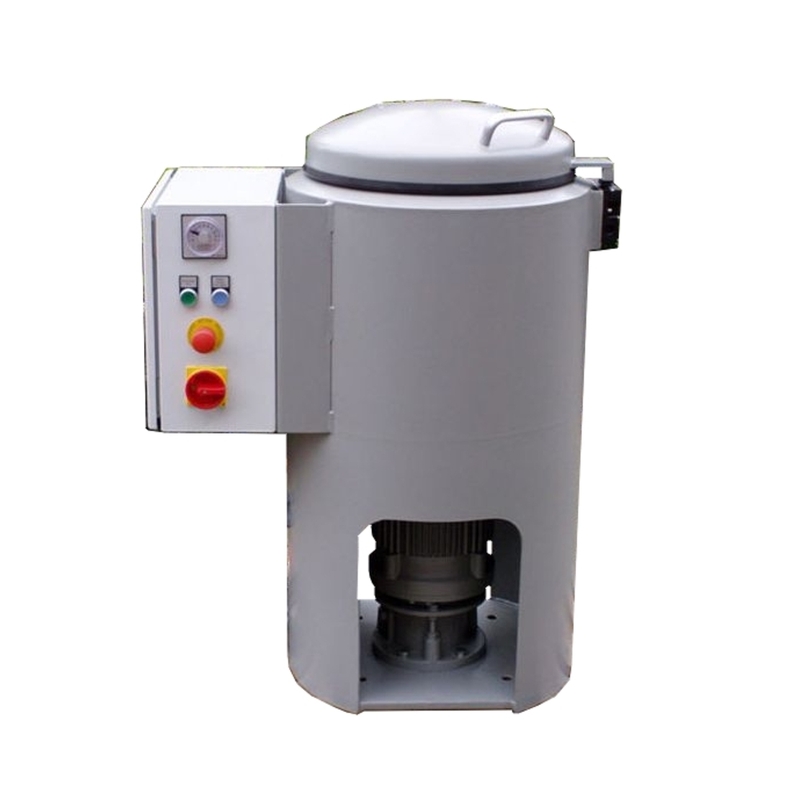 When the housing lid is opened, the perforated basket is lifted out of the centrifuge by means of a lifting device and hoisting device and placed on the floor or on a filling device. The basket is now filled again with the centrifuging material and lifted back into the chip centrifuge. 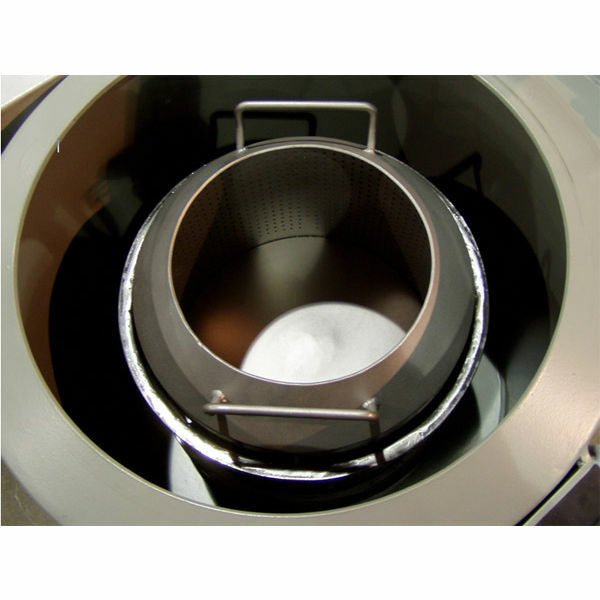 The centrifuging process is started with a closed housing lid, a pre-selected basket speed and centrifuging time. The centrifugal force spins off the adhering fluid from the chips, the fluid leaves the perforated basket through bore-holes in the basket shell and is collected in the filtrate housing. After the centrifuging time has ended, the housing lid is opened, the perforated basket lifted out and emptied by tilting into a ready container.